Hostages to the Past or Architects of the Future? Whilst we are constantly bombarded with the notion that there is a moral responsibility on us all to deal with the destructive legacies of our past, which continue to weigh heavily on society, we must also be conscious that dealing with the past is not just a moralistic consideration. It is also a responsibility that we have undertaken to complete within the mandate of the Belfast Agreement, thus making it a legislative, political and societal obligation within what was an International Agreement. Whilst the Belfast Agreement was constructed from within that moral framework, it is important that we also recognise that with the introduction of the specific architecture and out-workings of that Agreement, it can be argued that it has since left the moralistic domain behind and has become an exclusively legal, political and legislative blunt instrument, thus allowing little moralistic input to frame or interpret delivery. Indeed, the Agreement itself contained nothing more than a benign obligation to deal with our past constructed in ambiguity. It must also be recognised that a large section of the population does not feel that it has any particular moral obligation placed upon it to address the past, electing instead to turn the page and focus on a new future. There is an underlying concern that the energy and resources (and particularly the financial muscle) required to deal with the past could in fact subtract from the energy, resources and dynamism needed to build a new democratic society. The argument behind the opposing moral-obligation approach, is, if we fail to effectively deal with that past, not only will it continue to impact on our present, but it will also stall the development of a new future for Northern Ireland, and condemn us to repeat the mistakes of our past. This view advocates that unless changes are made now, the next generation will become further polarised by active hatred and hostility that will eventually begin to express itself in conflict, with future generations consigned to carry our burden as their inheritance. Whilst we all share that particular concern, the fact remains that many of us go beyond simply expressing that philosophy and translate those moral obligations into actively working at a communal level to de-glamorise conflict, de-commission mindsets and re-stabilise and reconcile communities. Loyalism has not resiled from its moral responsibility and in this regard the expression of ‘abject and true remorse to all innocent victims’ which accompanied the announcement of the Loyalist ceasefire by the CLMC, best encapsulates an adherence to and observance of those moral obligations. These words have translated into actions, with decommissioning, demobilisation & de-militarisation, all important contributions that have helped cement the fragile peace. In principle, Loyalism may not be particularly opposed to a process of dealing with the past. Indeed, this principle has even managed to extend into practice, where much effort to deal with particular difficult legacies of the past within Loyalist communities has already been expended. 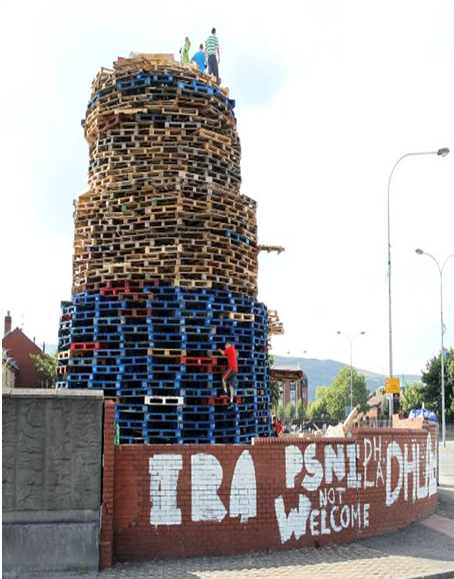 We can clearly see this effort in the high-resolution indicators represented by the removal and re-design of paramilitary murals across many Loyalist areas, particularly intended to prevent the next generation aspiring to conflict as it’s inheritance, and thus ensuring that no further combatants (or victims) are created. It can also been seen in the genuine reconciliation work being conducted with Republicans and other Loyalist groupings of different affiliation, at a communal level. This has fostered improved relations within and across former conflict communities. This has resulted in a significant reduction in violence/tensions and much reconciliatory progress at that local level.In this regard, Loyalism is particularly dealing with a past located and anchored in the present, and laying the foundations in that present, to raise the aspirational bar towards a better future. It is important to reflect that most of this effort has remained almost exclusively outside the bright glare of the public spotlight and thus remains undetectable. This is particularly so in regard to the internecine and communal aspects of conflict. This requires the application of extreme sensitivity and confidentiality mindful of a potential negative community impact which could prove divisive. Loyalism is not unaware of the implications of dealing with the past on the macro-political level, or the particular potential impact that could reverberate across those communities that have borne the brunt of the conflict. There are many in civic-society who tend to remain more reticent (and blinded) to the over-arching concern that the energy and resources, and particularly the financial-muscle required to deal with the past, could in fact subtract from the energy, resources and dynamism needed to build a new democratic society. Some overlook too that the new dispensation and the political architecture could be put at risk some of those once at the heart of the conflict, and now at the heart of government. This could lead to the potential unravelling of the Agreement itself thus anchoring us more firmly in the past. The over-arching concerns flowing from dealing with the past are themselves informed by a communal Loyalist experience which is proving to be messy. 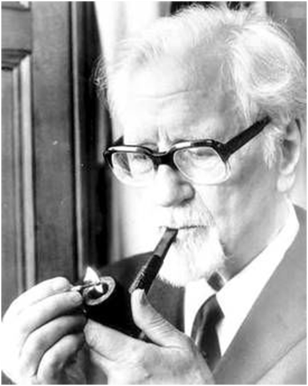 This legalistic blunt instrument path, historical inquiries, super-grass trials, Public Inquiries, private prosecutions, and the slow drip feed of so-called ‘truths’ that continue to leak into the public domain all serve to reinforce the point that there is no societal moral obligation as well as no undercurrent of political will to deal with the past. The Loyalist perception that HET spends most of its time focussing on cases from within its ranks leads to a suspicion that a security agenda is being applied to Protestants, while Republican concerns are addressed through the political system. There are fears that the process of dealing with the past could magnify problems within a community itself, with the potential to turn it in on itself resultant in an even worse situation. This could draw more puss and diminish any hope of reconciliation. The implications of the past. Many are quick to make the assumption that truth is a good thing. By the same measure, we must also consider that it may also cause far more problems than it solves in the first instance. We must therefore approach the idea with caution, as the truth as well as containing the power to heal also has the power to inflict further hurt and division. It becomes even more complex when other concepts such as retribution, justice and forgiveness become structural bolt-ons to truth. These should serve to reinforce that initial sense of caution. We must therefore consider that even an honest attempt to deal with our past may degenerate into a lust for revenge. Instead of healing, cauterising and curing, old wounds might continue to fester with fresh wounds emerging. In terms of expectations in addressing the past there will be undeniable knowledge gaps. Much of this knowledge will remain out of reach, much will be wilfully concealed and buried by other participants to the conflict. There would be no moral-obligation on a whole range of interests on grounds of ‘national security’ for example, to yield up files and information. The long-running and continuing use of propaganda (by all sides) has already discoloured much of the narrative of the conflict. There is another challenge: how to include the emergence of a post-ceasefire generation in a process to which it feels it has no such moral-obligations for the past? The reduced role of the two Governments and a reluctance of local institutions to become involved in the past neither inspires confidence or compliance. Any notion of shifting some of the focus onto the ‘beneficiaries’ of conflict is misplaced. There are expectations which we must consider. There are many that hold the view that dealing with the past can still benefit us in a positive way – that there is the chance to use it to introduce both a Bill of Rights and a Civic-Forum as undelivered aspects of the Agreement: there is an opportunity to deal with issues such as ‘prisoners of the past’ restricted futures, unresolved issues around depleted employment opportunities, insurance, travel restrictions and lingering health problems flowing from the conflict. Dealing with the past might afford a golden opportunity to tackle the underbelly of social injustice, including health, education, employment, investment, deprivation and dereliction all of which continue to adversely impact on working-class communities emerging from conflict. Dealing with the past might afford a golden opportunity to tackle the underbelly of social injustice, including health, education, employment, investment, deprivation and dereliction all of which continue to adversely impact on working-class communities emerging from conflict. Taking into consideration the many limitations, implications and expectations that exist in relation to dealing with the past and also the fact that many in society do not feel any particular moral obligation to involve themselves it will be extremely difficult and maybe even impossible to deal with the past as we understand it. Not only are the expectations or benefits of such a process limited at best, but they are they are far out-weighed by the potential implications. Indeed, it is arguable that there is no discernible appetite, either in the political domain, wider society or within our communities for dealing with the past. Many are choosing to look to the future. It is a truism to say we all need to create a better future. Yet the question is, can this best be achieved through a focus on the past or a focus on the present? Regardless of the path we choose – the past or the future the desired outcome is not guaranteed. In this regard, many would now advocate that we best lay the foundations for a better future in the present, by focussing all our available resources/energies on confronting and transforming that present. This view is supported by the idea that we can confront and transform the present with particular regard to working class communities that have borne the brunt of conflict and which still live with the scars of a broken society. This is precisely why the UPRG has called for the development of an anti-poverty strategy since 2007, merging the fields of Transitional Justice with that of Social Justice and Rights. In this context, it is in the present, we can best unlock the potential to a better future. A concerted focus on confronting and transforming the present is today’s society’s notion of ‘dealing with the past.’ It was always going to be a difficult journey navigating between that chasm of deep and painful memory and the far horizon of exuberant hope; nevertheless it is towards hope and opportunity that we must set our moral-compass. Those of us who were born into conflict owe it to the next generation a gospel of hope hope rather than despair. This can only be achieved in the present. That new future is only possible through conversation, not confrontation. This opinion piece was developed by the North Belfast Branch of the UPRG. It has been submitted on behalf of the North Belfast Branch by John Howcroft, a former life-sentence loyalist prisoner and community activist.